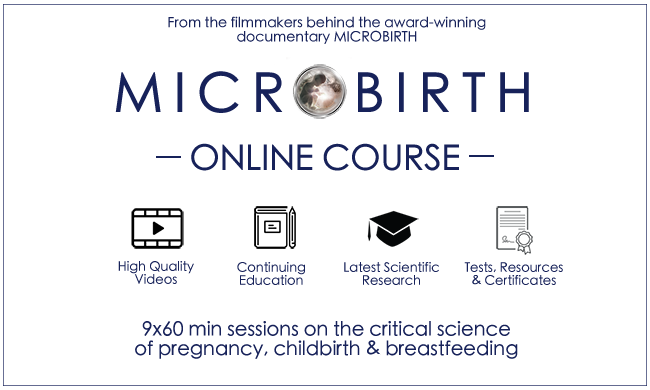 Microbirth is a multi-award winning documentary exploring the latest science about the ‘seeding and feeding’ of a baby’s microbiome during pregnancy, birth and breastfeeding. The film features scientists behind the ground-breaking research that reveals the critical role of mothers’ microbes for optimal training of the infant immune system and lifelong health. 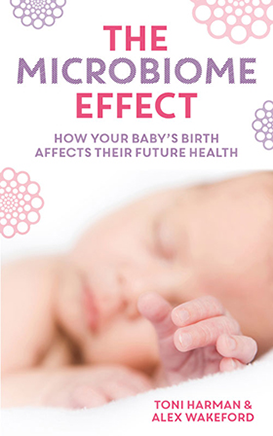 Following the success of the film, we’ve produced a book aimed at parents and healthcare professionals: The Microbiome Effect (UK edition) and Your Baby’s Microbiome (US edition). In Spring 2017 we launched continuing education resources aimed at healthcare professionals including online courses and one-day workshops. Microbirth is an award-winning landmark feature documentary about the microscopic events happening during birth and breastfeeding that shape the lifelong health of our children. Featuring 12 world-leading professors, Microbirth highlights an urgent public health issue: medicalised birth and formula feeding could be impacting the future health of our children. 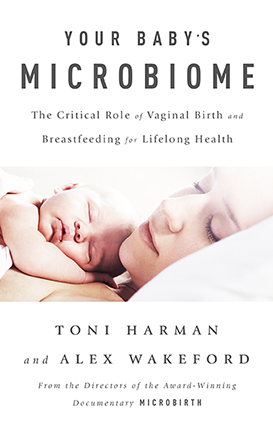 Drawing on their extensive research for Microbirth, authors Toni Harman and Alex Wakeford reveal a fascinating new view of childbirth and how microscopic events during pregnancy, birth and breastfeeding can have lifelong consequences not only for ourselves and our children, but also for the species as a whole. The UK edition The Microbiome Effect is published by Pinter & Martin. The North American edition Your Baby’s Microbiome is published by Chelsea Green. Online courses featuring 12 world-leading professors on the science of pregnancy, birth and breastfeeding. Accreditation as continuing education and professional development. Hosted on secure Teachable platform.